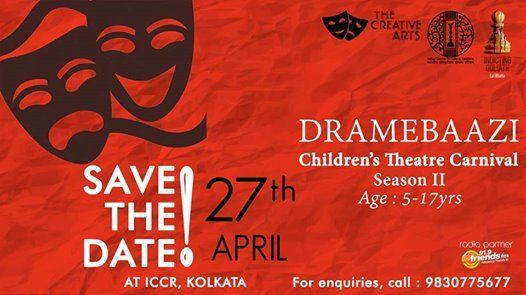 An event with a difference - 'DRAMEBAAZI' celebrates Theatre in its many avatars.. It provides children with a platform to express, emote, and just be themselves. Children get to learn all the things related to Theatre in one space. Creative inputs that fuel them as artists and performers. The Carnival will have workshops by various artists and performances by children. 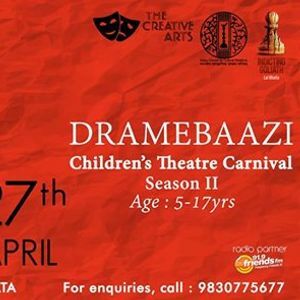 Learn, create, showcase, and bring out the "Dramebaaz" in your child!